The P2002 Pump features a very compact design with integrated stand. 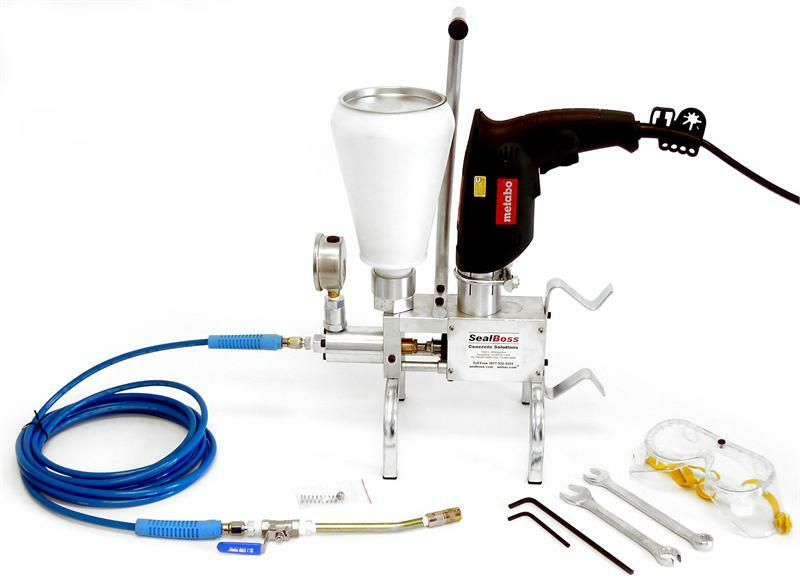 This extremely lightweight and powerful injection pump can be used for most of the SealBoss ® polyurethane and epoxy injection line products with viscosities between 10 and 1000 cps. 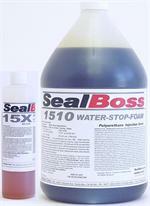 Call your SealBoss ® technician for details. Suitable for mid-size jobs and daily use this is the perfect machine for waterproofing contractors performing commercial work and residential injection. With this pump it is a snap to get in and out of basements and confined areas as found on many job sites. This pump is of professional grade quality for every day use. The output and pressure are exceptional for a machine of this size. The modular design keeps maintenance cost low and allows for easy cleaning. Parts can be replaced by the savvy contractor to keep downtime at an absolute minimum. 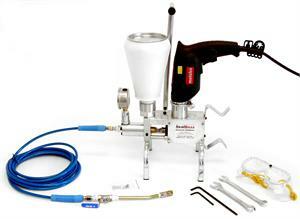 This pump is powered by a Metabo electric drill which is sold separately by SealBoss®. 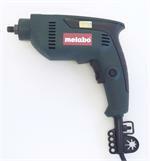 The drill offers a variable speed adjustment to adjust material volume and pressure. 13-175S Steel Mechanical Packers 1/2" x 6"
13-60S Mechanical Steel Packer, 1/2" x 2.75"